Heirloom jewelry is more than just a piece of jewelry or a watch, heirloom jewelry is defined as jewelry passed down from one generation to the next. Jewelry and watches are the most common heirloom pieces. 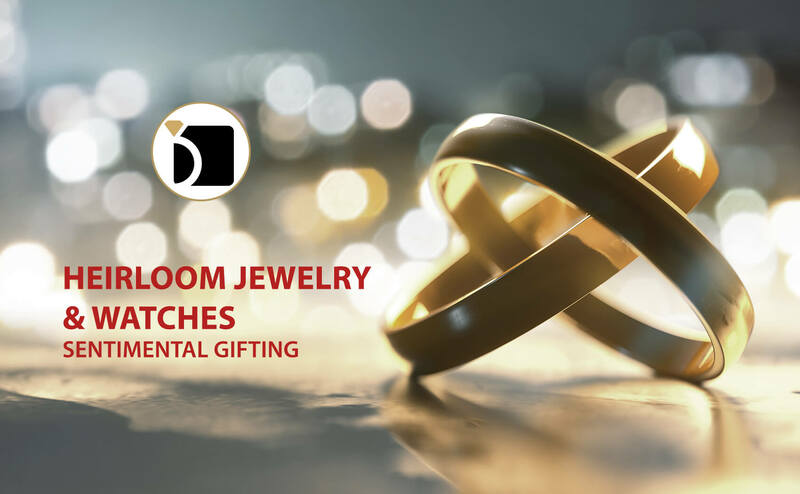 Grandmothers, grandfathers, mothers, and fathers passing heirloom pieces like engagement rings, wedding bands, strands of pearls, pins and watches to the younger members of their families. Heirlooms can remind us of where we are from, our family history, and sometimes of the people that may no longer be with us. Wearing or admiring a family heirloom is a wonderful way to honor, appreciate, and think of that someone special that wore the item before us. I received one of my mother’s favorite pieces of jewelry as a Christmas gift a few years before she passed away, a classic wide gold wedding band, this was a piece that she wore every day since I can remember. She had it cleaned and polished, so it looked like new when I opened the gift box. I think she had as much pleasure seeing the surprise and smile on my face as I did when I saw the ring in the box, it was such a thoughtful and sentimental gift. I not only cherish the ring, but also the memory of that Christmas. So, if you are thinking of gifting a special piece of jewelry or a watch this holiday season, our master jewelers and certified watchmakers at MyJewelryRepair.com can perform the services needed to make that special gift sparkle and shine for the special occasion. Whether the piece needs a basic clean and polish, or repair work we are here to help.